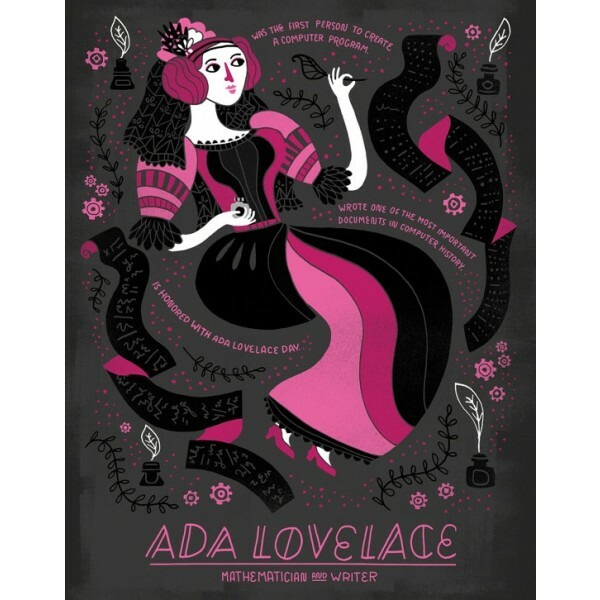 Ada Lovelace is the mathematician and writer who concepted the first computer program. She wrote one of the most important documents in computer history. 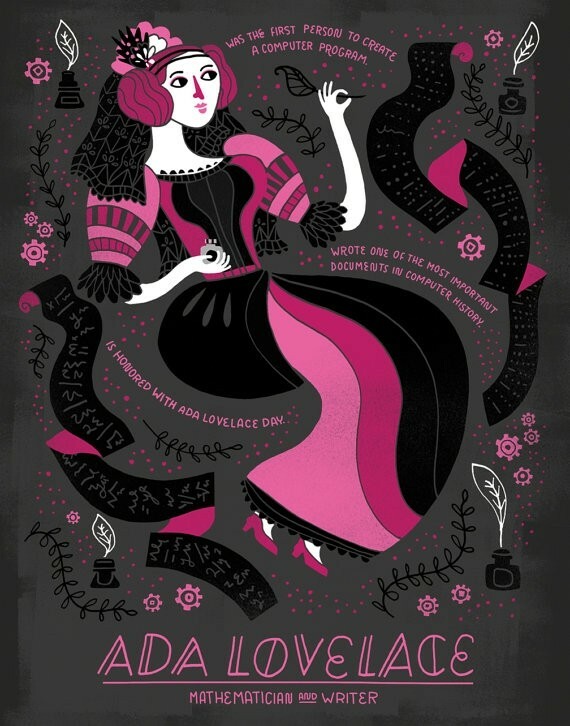 Celebrate Ada and her accomplishments with this art print! This poster is available in 8X10 and 11X14 sizes and is printed on high-quality paper with archival ink. For more posters from this Women in Science series, visit our Rachel Ignotofsky Collection. For more resources about this computer pioneer, visit our Ada Lovelace Collection.